We’re the proud corporate sponsors of the Base36/SMCC Team, a subset of SMCC members who actively compete in New England and Mid-Atlantic cycling races. The group is diverse, competing in everything from road and mountain biking to time trialing and Cyclo-cross. As a group, they raise money for charities as well as to promote their sport. 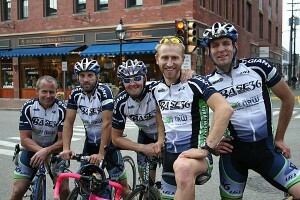 Learn more about the Base36/SMCC Cycling Team.